Buy and Download > Description While ushering the listener into the silence, this guided meditation teaches an excellent path to travel alone to an optimal silent meditation state. 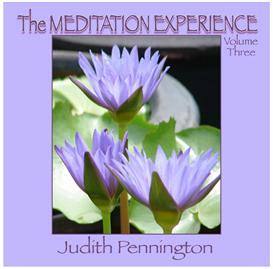 Composed by consciousness trainer and meditation teacher Judith Pennington, "The Heart of Meditation" is based on Edgar Cayce's approach to interdimensional meditation. Judith's melodic voice and the soothing sounds of her Celtic lap harp help the listener descend into the silence. Visit www.EagleLife.com to listen to this entire track and sample related meditations on "The Illuminated Door" CD.